These days there is an app (application) for everything, be it the third party apps, or the mobile apps. Apps have become so ubiquitous that it is impossible for businesses to not have apps today. There are apps ranging from weather information, games, to movies and shopping. There are thousands of applications that can be downloaded to iPhone, Blackberry, and other smart phones. 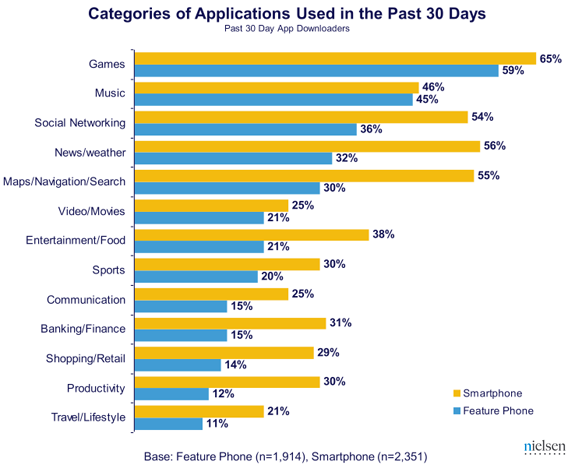 Facebook and Google Maps are the most popular apps used across all the smartphones.